Kathy Brown's stunning four acre Manor House Garden in Bedfordshire has been developed over the past 20 years and features 18 gardens of all descriptions - along with some top of the range Harrod Horticultural products! 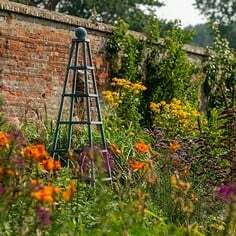 Situated in the vegetable growing hot-bed of Bedfordshire, The Manor House gardens vary in both styles and design. 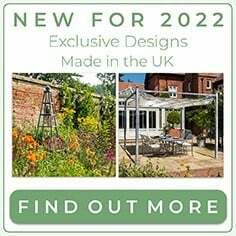 Not all the gardens are separated but they are easily distinguishable and with formal gardens, a cottage version, wisteria walk, orchards and a snaking winter garden, there's all year round interest! 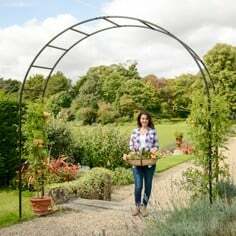 You'll find a range of Harrod Horticultural raised bed tables, planters and vegetable growing frames all situated in the delightful surroundings of the Courtyard garden - so be sure to pay a visit as you wander around the various avenues, borders and walkways of The Manor House gardens. 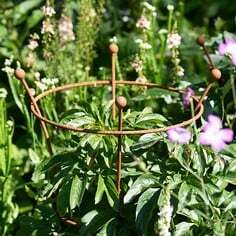 To find out more about The Manor House Garden and the various gardening services - including lectures, books and garden design - that Kathy offers, we thoroughly recommend you visit The Manor House Garden website. 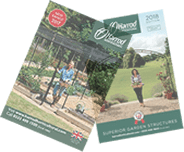 The informative Manor House Garden website carries full details of all opening times and garden plans but if you require any further information, please contact Kathy Brown on 01234 822064. As always, we recommend you contact the garden before travelling any great distance to visit to avoid any disappointment. 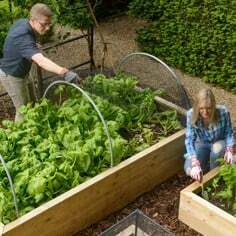 Standing 74cm (2'5") off the ground, our Standard Raised Bed Tables make gardening as comfortable as it possibly can be and pose a formidable problem to slugs and other soil-based pests and diseases. The Standard Raised Tables are manufactured to the same exacting standards as our raised bed range and feature a slatted base (along with stiff plastic protector), quality polypropylene liner and are structurally guaranteed for five years. 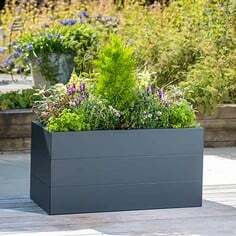 The Standard Raised Bed Table on display in the Courtyard garden measures 60cm x 1.2m (2ft x 4ft) in size and is 2 tiers deep, giving 30cm (12") of fertile soil for your fruit, vegetables and herbs to flourish in! 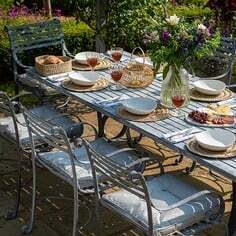 A variation on the exceptionally popular Superior Raised Bed, the Superior Raised Bed Table leads the way in looks and design quality. Manufactured to the same 74cm (2'5") working height as the Standard Raised Bed Tables, the Superior Version boasts aluminium corner brackets and reasurringly thick corner posts - it's THE raised bed table to have if looks and strength are on your list of priorities. Kathy has a 1.2m square (4ft) Superior Raised Bed Table on display in the Courtyard area and the combined depth of the two tiers - 40cm (16") - gives vegetables even more room to stretch out. 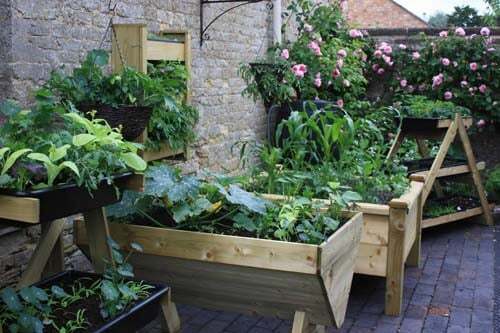 One of the criticisms often levelled at raised beds is a lack of growing depth, leading to the exclusion of root crops such as carrots, parsnips and even potatoes - but the Manger Raised Bed Planter answers those questions head-on! This attractive growing trough has a growing depth of 45cm (17.5") mid-section and a bit of imaginative planting in this FSC high pressure timber manufactured trough can see the root crops occupying the middle ground with shallower-rooting salads and herbs taking to the sides. You'll be able to admire the Manger Raised Bed Planter - and Kathy's planting - in the Courtyard section of The Manor House Garden.